An Israeli government minister is assassinated in the home of his mistress. Days later, Elihu, an aging and decorated Mossad officer, leads his final raid, killing a Hamas leader in his bed and barely escaping with his life. Out of this familiarly cyclical scenario, the action moves into the near future, when the global community, united under the leadership of a visionary female president of the United States, brokers a major compromise between Israel and the Palestinian authority in order to snuff out the violent flashpoint of global terrorism. It seems to work until a well known fundamentalist rabbi is taken hostage by a legendary Palestinian terrorist. Ferociously suspenseful and brilliantly topical, Vicious Circle breaks down an entire culture of violence into the corrupted consciences that embody it. 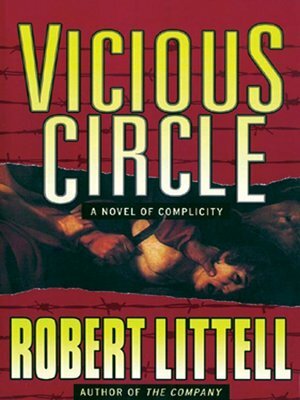 Robert Littell's novels include the New York Times bestseller The Company and many others. A former Newsweek journalist, he makes his home in France.